As a means of perturbing gene expression—and avoiding manipulation of the genome—RNA interference (RNAi) has distinct advantages. RNAi, it must be said, is hardly unique in its ability to target individual genes. This ability is shared by RNAi with CRISPR interference (CRISPRi), which may provide even better gene targeting and more predictable knockdown efficiencies. RNAi, however, can be simpler to deploy. For example, in most cells, RNAi machinery is already present. Also, RNAi targets messenger RNA in the cytoplasm, not the nucleus, so the effectiveness of RNAi is not influenced by chromatin state. Perhaps even more important, from a therapeutic point of view, RNAi offers a narrow toxicity window. RNAi therapeutic components are cleared within 48 hours and are well tolerated. Also, they may confer long periods of activity, potentially lasting months, after a short period of exposure. Should RNAi activity prove to be too transient, it may be prolonged by a relatively simple expedient: additional doses. 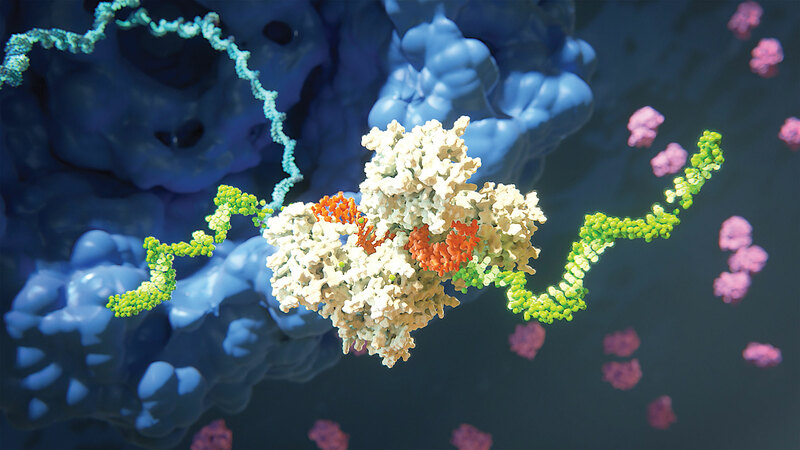 To date, the development of RNAi therapeutics has been preoccupied with two key issues: first, stabilizing small interfering RNAs (siRNAs) against degradation while maintaining adequate pharmacokinetic properties; second, improving RNAi delivery technologies to expand targeting possibilities beyond the liver. Both challenges are being addressed by drug developers, which may explain the optimism surrounding RNAi therapeutics. 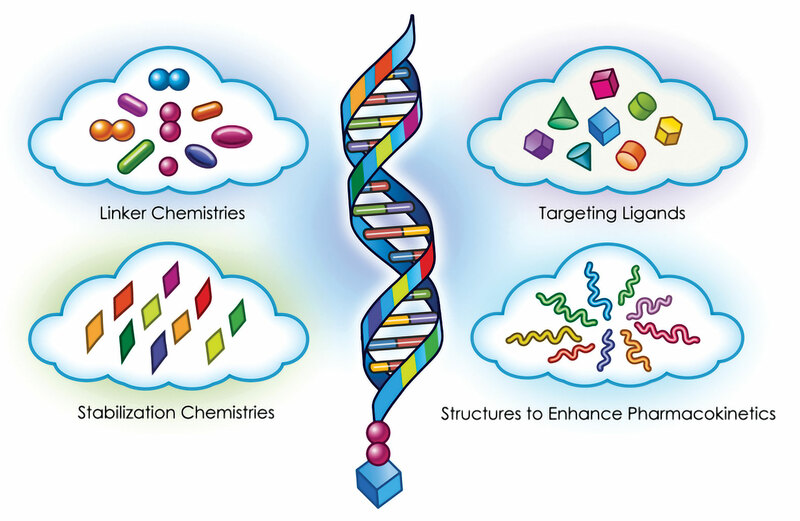 According to “Global Drug Discovery Technologies Market,” a study issued by Research and Markets, RNAi technologies constitute a key part of a market that will reach approximately $160 billion by 2025. Another study, “Global RNA Interference Market Research Report,” recently published by Decision Databases, suggests that RNAi technology looks promising because it could meet a requirement for lower therapeutic dosages. Also, progress in RNAi is being sustained by improvements in drug delivery systems. A major player in RNAi therapies is Arrowhead Pharmaceuticals. “Our targeted RNAi molecule, or TRiM™, platform is characterized by simplicity, specificity, and activity,” says Christopher Anzalone, Ph.D., the company’s CEO and president. “These are simple molecules. The RNA alone is inert, and anything hung on the molecule can potentially be a source of toxicity and needs to be limited. “Basically there is an RNAi trigger backbone, with known stabilization technologies, conjugated directly onto a targeting ligand conferring cell specificity. The activity comes from the trigger sequence selection technology.” Dr. Anzalone adds that Arrowhead works with a wide selection of cell types and can overcome the liver-targeting limitation encountered by others. Hepatitis B is one of the company’s first targets. Due to the overlapping nature of the viral genome, the company maintains that it can silence all of the virus’s gene products. Besides hepatitis B, Arrowhead is looking at alpha-1 antitrypsin deficiency, which may result in liver disease or lung disease. The company is also participating in a cardiovascular program with Amgen to research lipoprotein(a) and another cardiovascular target. Later this year, Arrowhead plans to file applications to start clinical studies for the first inhalation delivery lung program and to pursue two additional cardiometabolic candidates. In 2019, the company plans to address its first solid-tumor target, a renal cell carcinoma. Arrowhead Pharmaceuticals’ TRiM™ platform utilizes ligand-mediated delivery and is designed to enable tissue-specific targeting while being structurally simple. It comprises a highly potent RNA trigger with the following components optimized, as needed, for each drug candidate: a high-affinity targeting ligand; various linker chemistries; structures that enhance pharmacokinetics; and sequence-specific stabilization chemistries. At Alnylam Pharmaceuticals, a biopharmaceutical company focused on the discovery, development, and commercialization of RNAi therapeutics for genetically defined diseases, chief medical officer Pushkal Garg, M.D., and colleagues are intent on improving the delivery of synthetic siRNAs. According to Dr. Garg, Alnylam is developing molecules that can target the conserved region of a gene transcript of interest, destroying the transcript and blocking the production of the corresponding protein. This effort initially entailed encapsulation of the siRNA molecules in lipid nanoparticles to allow them to penetrate cell membranes and prevent them from being degraded, ensuring efficient delivery of intravenously administered siRNAs to the liver. A simplified delivery system was also discovered, the GalNAc conjugate, which is a small carbohydrate moiety attached on the end of the siRNA, targeting it for uptake by the hepatocytes and allowing for a subcutaneous mode of administration. At the same time, Alnylam has zeroed in on increasing the stability and potency of siRNA molecules by chemically modifying their backbones, thereby enhancing stability and efficacy. This approach has resulted in smaller dose volumes, which may be administered subcutaneously once a month, or even once every six months, depending on the target and the molecule. The lead programs involve liver-based diseases where the therapeutic targets are genetically validated, and there is a high unmet medical need. The first lead program is for a drug candidate called patisiran. This progrm utilizes the lipid nanoparticle-based delivery system of siRNA molecules and targets transthyretin (TTR), a liver protein which normally transports vitamin A. When the TTR gene is mutated, TTR proteins misfold and amyloid fibrils concentrate in the peripheral nerves and the heart, giving rise to a debilitating, rapidly progressive, and ultimately fatal condition called hereditary amyloidogenic mutated TTR (hATTR) amyloidosis. After almost 10 years of work Alnylam, in collaboration with Sanofi Genzyme, has completed a 225-patient Phase III study called APOLLO in which patisiran demonstrated remarkable efficacy. The drug candidate halted hATTR amyloidosis progression in the trial participants who received the drug. Notably, at 18 months, approximately half the patients experienced improvement in neurological impairment and quality of life compared to their baseline status, providing evidence of disease reversal, a clinical outcome never seen before. Patisiran also showed favorable impacts on the cardiac manifestations of the disease, including heart structure and function. The company’s second lead program is for an investigational RNAi therapeutic called givosiran. It is in Phase III development for the treatment of acute hepatic porphyrias (AHPs), which result from defects in the heme synthesis pathway in the liver that culminate in a buildup of the neurotoxic metabolite aminolevulinic acid (ALA). AHPs are ultra-rare diseases, more commonly seen in younger women, in which afflicted individuals suffer from acute neurovisceral attacks, crippling pain, paralysis, and seizures, as well as chronic pain and disability. Alnylam is using RNAi to block an enzyme higher up in the pathway preventing the buildup of ALA, and so far this approach has resulted in an approximately 80% reduction in attacks. The FDA has granted givosiran breakthrough status, which denotes therapies that have such tremendous medical importance that they may require expedited regulatory review, explains Dr. Garg. Due to the enormous symptomatic burden of this disease and the current lack of adequate treatment options, an interim analysis showing reduction of ALA can be used to file a new drug application later this year. The company also has late-stage clinical programs on hemophilia and hypercholesterolemia, in partnership with Sanofi Genzyme and The Medicines Company, respectively. Dicerna Pharmaceuticals, says Douglas Fambrough, Ph.D., the company’s president, and CEO, is focused on primary hyperoxaluria, a family of three diseases. These diseases have in common a pathway in the liver that causes too much oxalate to accumulate in the urine. Oxalate, a small molecule, is not toxic and not very soluble. When oxalate is filtered out by the kidneys, it is concentrated, and the excess present causes crystallization and damages the kidneys. As the kidney function declines, more crystallization results, causing more damage. In most severe form of hyperoxaluria, type 1, the patients suffer kidney failure in their early 20s. The only option is a double transplant, liver and kidney, which does not have a good prognosis. The pathway is not required for normal health. When Dicerna’s GalXC™ technology is deployed, the enzyme LDHA can be silenced in the liver, preventing the broken pathway from making oxalate, interrupting the disease. The GalXC technology utilizes the conjugation of a sugar to the siRNA therapeutic which is then taken up by liver cells, and Dicerna’s proprietary tetraloops incorporate specific design principles to maximize siRNA efficiency and optimization. Using mouse models and human cell tissue cultures, company scientists showed that GalXC successfully silences the target gene. Clinical trials started in December 2017. In safety tests performed in animals, GalXC siRNA in 100-fold excess of the therapeutic level has been well tolerated. In developing the GalXC platform, Dicerna has emphasized delivery to the liver. Accordingly, the company has been targeting hyperoxalurias, which happens to affect only a small portion of the population. The company, however, anticipates that its platform can benefit larger patient populations. For example, the company has indicated that its second priority is hepatitis B, a relatively common affliction that results in liver damage and liver cancer. The viral genome can be targeted to address the disease and allow patients to mount an immune response to the infection, clearing the virus and curing the disease. The firm is targeting the S antigen transcript, which produces an immune-silencing protein, silencing the host immune response. But due to the overlap of the genome, GalXC technology that disrupts the S antigen transcript can also disrupt the transcripts of other proteins. Dr. Fambrough emphasizes, “We can shut down circulating S antigen by 99.9% in mouse hepatocytes by a single injection.” Dicerna says that it will start dosing humans in late 2018. RNAi therapeutics from Alnylam Pharmaceuticals have been developed to take advantage of different delivery modes. For example, the company’s siRNA molecules have been encapsulated in lipid nanoparticles or incorporated into N-acetylgalactosamine (GalNAc)-conjugates, which boast “enhanced stabilization chemistry.” Whichever delivery mode is used, siRNAs are processed to yield single-stranded guides (orange) that fit into the RNA-induced silencing complex (white), which binds to and degrades messenger RNA (green). At RXi Pharmaceuticals, scientists have developed a novel approach for delivering RNAi compounds to tissues of choice. Conventional approaches involve encapsulating RNAi compounds within lipid-based particles such as liposomes. The RXi approach, however, relies on “self-delivering” RNAi compounds, what the company refers to as sd-rxRNAs. Using systematic medicinal chemistry, RXi identified chemical modifications that result in sd-RNAs, which are hybrid oligonucleotide compounds that cells can take up spontaneously. The sd-rxRNAs do not need a delivery vehicle, asserts RXi, which adds that sd-rxRNAs combine the beneficial properties of conventional RNAi and antisense technologies. Now that RXi has developed this delivery system, the company is focused on developing sd-rxRNA applications. For example, RXi is exploring possibilities in immuno-oncology, with a near-term focus adoptive cell transfer. The company has identified two lead candidates that are currently in preclinical development for solid tumors. RXi is working with several collaborators to evaluating how the sd-rxRNA platform can improve the safety and efficacy of various immune cells, including those currently used in clinical practice such as natural killer cells; tumor-infiltrating lymphocytes; and engineered cells such as chimeric antigen receptor (CAR)- and T-cell receptor (TCR)-modified T cells. The company is currently pursuing targets related to checkpoint inhibition and cellular metabolism and differentiation. An advantage RNAi has over gene editing is the ability to target multiple genes at once with low complexity and high efficiency. An RNAi approach also offers key safety advantages in that it can achieve the desired effects without the need for permanent, and potentially dangerous, gene modifications.